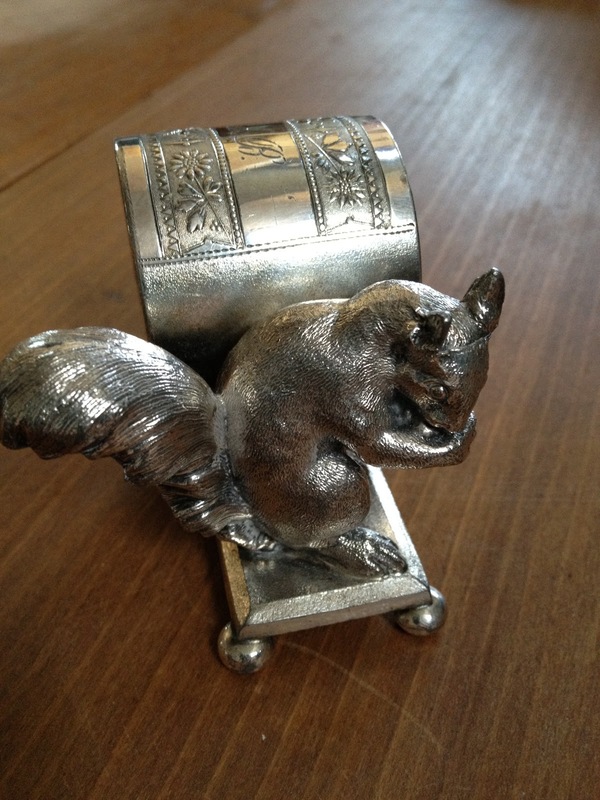 A nice Victorian figural napkin holder. Medium size squirrel with a nut sitting on a plain rectangular base. Base has rounded feet. Napkin ring is ornately engraved.